Lynn Walding was named to the NCSLA Hall of Fame in June 2017. As Executive Director for Control States at Diageo North America, he provides regulatory guidance to the company’s commercial and government relations teams. Lynn represents Diageo, which produces over 200 leading brands sold in 180 countries, on the Industry Steering Committee of the National Alcoholic Beverage Control Association (NABCA), where he serves as Vice Chair. 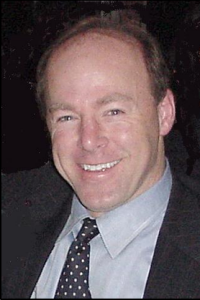 An industry veteran, he has made significant contributions to shaping the future of the beverage alcohol industry by leveraging his knowledge, experience and leadership skills to identify opportunities for change and growth, as well as improving industry communications via open and honest relationships. Lynn is a former Administrator of the Iowa Alcoholic Beverages Division, and served as President of the National Conference of State Liquor Administrators (2005-06). He is also a past NABCA Chairman (2004-05), becoming the sole person to have lead both associations and having done so in consecutive years. Lynn was also a founding member of the Responsible Retailing Forum (RRF) Board of Directors. A passionate advocate and strong contributor to NCSLA, Lynn has moderated panel presentations at numerous NCSLA Annual Conferences since 1998, covering a wide range of topics including: the burgeoning cocktail culture, modern day moonshine, the Care Act, mergers and acquisitions, the federalization of alcohol, regulating strip clubs, global markets, immigration patterns and practices affecting the beverage alcohol industry, effective tobacco enforcement, regulating nuisance bars and managing change in the new millennium. Recent conference presentations have addressed addiction and alcohol issues facing college communities (College Town USA, Chicago 2016), as well as the impact on amateur and professional athletes (Alcohol, Athletes & Addiction – Mantle to Manziel, Denver 2017). Lynn has received several civic awards, including the Champion Award from the Iowa Substance Abuse Program Directors Association (2005), the Dwight Ink Public Service Award (2000), the Junior Chamber’s Outstanding Young Iowans Award (1995) and was selected for a Rotary Group Exchange to India (1990). Lynn received his Bachelor’s Degree in Political Science, a Master’s Degree in Public Administration and his Juris Doctorate from The University of Iowa. He resides in Des Moines, Iowa with his wife, Alison, and has two grown children, Brooke and Kurt.